Strange color, odor, or taste? Doctor recommend lead testing? Water quality compliance testing requirements? Identify moisture and mold problems, define scope of work, perform clearance mold testing. We test for mold, VOCs, formaldehyde and other common indoor allergens. Environmental consulting for your home, office and workplace. Looking for an environmental consultant or industrial hygienist with expertise in indoor air quality testing, indoor environmental services, and environmental analysis? Need help identifying contaminants in your commercial building, factory, office, school, workplace or home? Call 415-785-7986 or get a free quote today. Headquartered in the San Francisco Bay Area, Healthy Building Science combines building science with environmental science to offer expert industrial hygiene services for commercial, residential (single family home and multifamily), industrial, medical, laboratory, manufacturing and institutional buildings. If you’re looking for building & home inspectors who specialize in environmental health assessments you have come to the right place. We are a one-stop-shop for all your environmental testing services. An environmental inspection by one of our professional industrial hygienists may include indoor air quality testing, water testing, mold inspection, mold testing, mold testing air quality, soil testing, VOC testing, and formaldehyde testing, EMF testing (electromagnetic field survey), lead testing, asbestos testing, and OSHA silica testing. We service the entire San Francisco Bay Area and all of Northern California including the cities of San Francisco, Oakland, San Jose, Santa Rosa, Hayward, Salinas, Sunnyvale, Fremont, Concord, Santa Clara, Berkeley, Richmond, Alameda, Fairfield, San Leandro, Livermore, Sacramento, Napa, and Silicon Valley. Call us at (800) 528-6101. Test air, dust, soil, and water to better understand your environment and make educated decisions about designing or maintaining your building. We provide a comprehensive analysis of buildings from an occupant health perspective. Industrial hygiene includes testing in all building types for OSHA compliance or peace of mind. Expert Industrial Hygiene Services. Easy to understand reports summarizing environmental testing and compliance results. We work with many types of clients in all types of buildings. Ultimately we are helping perform due diligence for one reason or another. Sometimes we represent Property Managers and HR Managers responding to tenant or workplace environmental complaints. These may involve OSHA compliance testing, lead paint assessments, asbestos clearance testing, mold testing and writing remediation protocols, etc. We often work with environmental lawyers on forensic analysis and can provide expert witness services if a building environmental case is headed to court. HBS also provides environmental testing for residential buildings large and small by our professional environmental inspectors. Whether it’s a pre-purchase or pre-lease environmental inspection, or if it’s responding to concerns over strange smells or known environmental contamination, we perform through healthy home inspections and provide either peace of mind or detailed findings and recommendations on how to mitigate indoor pollutants. It’s not just commercial and industrial buildings with occupants concerned about environmental health. Everyone wants an environmental friendly building. In addition to environmental compliance testing, we also work with a lot of home-buyers and expecting or new families worried about home health and trying to avoid a sick building. Healthy Building Science was initially Healthy Building Inspections LLC in 2010. 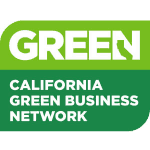 The name officially changed when we transitioned to becoming a California Benefit Corporation in 2016. Healthy Building Science Inc is proud to be a member of the B Corp community, using business as a force for good! We are a triple-bottom line, industrial hygienist company that cares about people, the planet, and profits. Let us help you maintain a healthy building and thriving occupants. Our mission is to help people make healthy buildings. The only way we accomplish our mission is if you contact us! Call today (415-785-7986) with any questions or complete this form to get a free quote. I highly recommend having your home checked for EMF. I myself am an EMF enthusiast and have devices to detect it, but these guys have a much broader range of devices to measure other frequencies. The best part is, that they recommend electricians that can resolve the problems and even recommend types of materials that should be used to rewire the electricity. They are a bit pricey, but compared to the fact that I could not find any information about the proper wiring on the internet, it was money well spent. So glad our water checked out. Your guy was super nice and smart and we’re just glad our water isn’t contaminated. Two thumbs up! HBS worked wonders coordinating our team for our home in San Francisco. During the design they helped define our healthy goals and made sure no detail was neglected. Our contractor has told us how much he appreciates Healthy Building Science’s help. We’re optimistic we’ll be getting a LEED certified building when it’s all done! Thank you for all your help! Your detailed inspections really helped ID what was needed on site. Using your reports and photos, we created a complete implementation plan to repair and upgrade the subject property. This was an excellent value, especially as your documentation was so comprehensive. Great job! Thank you so much for all your help! Your guy was very knowledgeable! He stayed & talked with my very concerned husband until he felt satisfied! Thanks again.